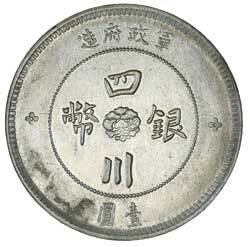 CHINA, Republic, Szechuan, silver dollar (1912) (KM.Y.456). Cleaned and extremely fine. 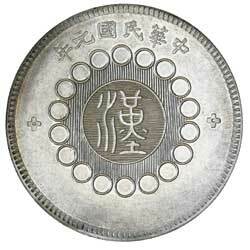 CHINA, Republic, Szechuan, silver dollar (1912) (KM.Y.456). Very fine.